I’ve already reviewed the SK-II and the Missha First Treatment Essence in the form of a Skincare Smackdown I wrote last year, so that’s 2 down, only 16 to go! Well, 15 after this review. Since I prefer to test my skincare products for a minimum of 28 days, this little endeavor will take me well over a year to complete. I guess I better get crackin’ on this review then! IOPE Bio Essence Intensive Conditioning ($50 – $80 USD) is an Asian facial treatment that promises to restore the skin condition within 3 days of use. That particular claim is awfully vague, but it also says it makes transparent clear, and smooth skin. The actual product type is a little vague – it’s not even included in the name. When I first laid eyes on this bottle, all I could think was, “Intensive conditioning what?” Was it a booster? An essence? Unicorn tears? I started using it without first reading the directions. It had so many similarities to the Missha First Treatment Essence (which is technically a booster and not an essence, despite the confusing name), I thought for sure the IOPE Bio Essence Intensive Conditioning must be a booster/toner. I later fished the instructions out of the box and learned that this product should actually be applied after a toner, which I suppose makes it an actual essence. There was no English ingredient list anywhere in the product literature for IOPE Bio Essence Intensive Conditioning treatment, but someone was thoughtful enough to enter the ingredient list in COSDNA. For the sake of this review, I’m assuming that the ingredients appear in order, although I’m highly suspicious about water appearing last on the list. EDIT 01/21/2014: After examining the ingredient lists of similar products, I think there’s a pretty chance these ingredients appear in the correct order. Faex – This is the primary ferment ingredient in this essence. It is a yeast-derived ferment, also known as Saccharomyces lysate. It’s in the same family as the ferment ingredients contained in the SK-II and Missha treatment essences, though I’m not sure what the source of the yeast is (SK-II’s yeast ferment is a Sake product, and the Missha ferment comes from beer). Sodium Hyaluronate – Often referred to as hyaluronic acid, this ingredient is able to hold up to 1,000 times its weight in water. This humectant also does a great job attracting and maintaining water in the skin, and nutrient absorption. According to COSDNA, there are no known irritants or acne triggers in this formula. 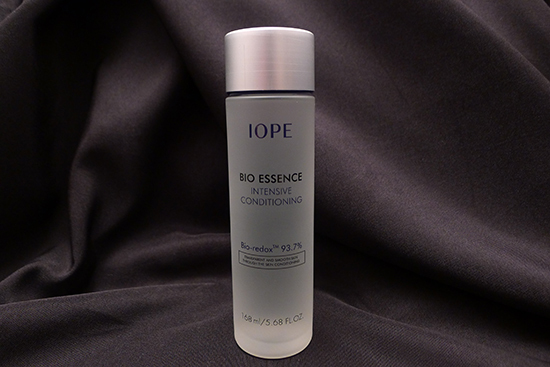 IOPE Bio Essence Intensive Conditioning comes in a frosted glass bottle. It feels sturdy and heavy in hand, and has a silver cap. 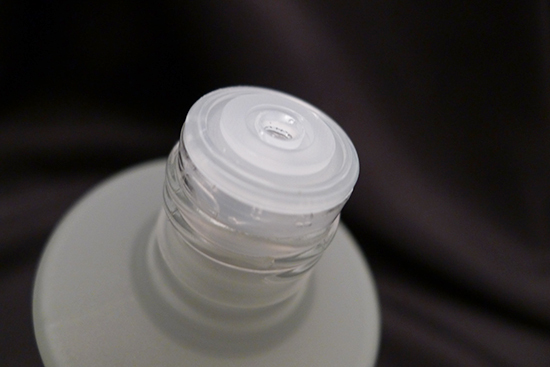 Under the cap is a tiny hole to dispense the product. The essence itself is clear, and is nearly the same consistency as water. 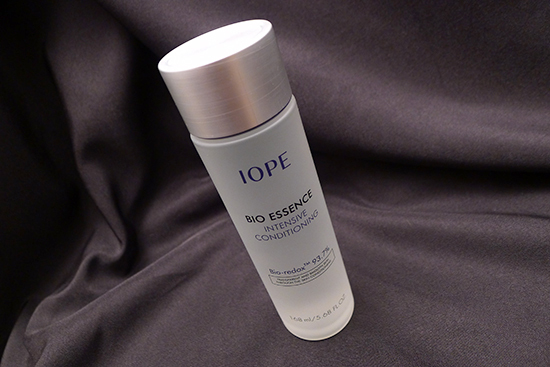 IOPE Bio Essence Intensive Conditioning is virtually odorless. I put my face in it at one point, closed my eyes, and inhaled deeply, just to see if there was something subtle there. I smelled nothing. The dispenser for IOPE Bio Essence Intensive Conditioning releases a few drops of liquid at a time, but I actually found it a little laborious to shake out the amount of product I wanted in a timely fashion. I ended up transferring the essence to a spray bottle, which turned out to be much more efficient. For the first few weeks, I mistakenly assumed that IOPE Bio Essence Intensive Conditioning was a booster product, so I applied 4 spritzes immediately after cleansing, before any of my other products. When used in this fashion, I found it soaked into my skin very quickly. I don’t have an opinion on whether this is good or bad – I have dry skin so I’m not one to shy away from the sight of moisture. I imagine the fast absorption would be very appealing to oilier skin types, though. Once I finally read the instructions and learned that IOPE Bio Essence Intensive Conditioning should be applied after toner, I started applying it immediately after my Benton Aloe BHA Toner. I didn’t find this method to be nearly as satisfying, even though it’s correct way to use it. 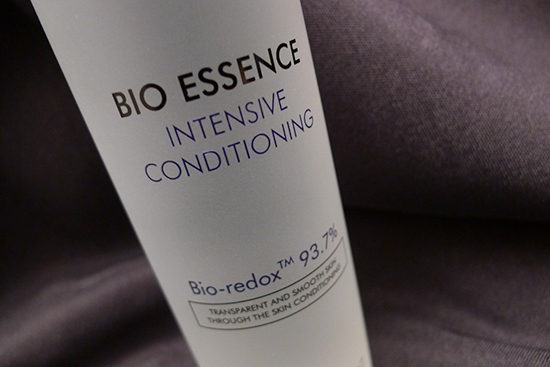 After a week, I went back to applying the IOPE Bio Essence Intensive Conditioning first. Also, a quick note about BHA and Niacinamide: there is evidence that suggests that the mixing of BHA and Niacinamide can cause flushing in some people, though it’s not very common – the pH of the skin would need to be at least below a 5 for this to occur. I personally did not experience any flushing at all, even when using the IOPE Bio Essence Intensive Conditioning with my Paula’s Choice 2% BHA Liquid or, more recently, my Paula’s Choice CLEAR Exfoliating Solution with 2% Salicylic Acid, but it’s definitely something to be cautious of. If you want to use IOPE Bio Essence Intensive Conditioning (or any Niacinamide product) in conjunction with a BHA (or an AHA, for that matter), the safest way to steer clear of potential flushing is to wait 30 minutes between each product. My skin type is dry, sensitive, and acne prone. I’ve been using the IOPE Bio Essence Intensive Conditioning treatment for about 5 weeks now. I can’t say it’s providing any additional hydration – notably less than Missha’s First Treatment Essence, which I would consider only somewhat hydrating. I do, however, see some nice brightening effects from IOPE Bio Essence Intensive Conditioning. The brightening was fairly immediate –this must be the outcome referred to in the product literature that promised results in 3 days. I started noticing the brightness around day 4, myself, but the brightness did not increase beyond what was achieved at around day 7. It has sustained over the weeks though, and I’m totally good with that. If there were no limit to how bright my skin could get, my head would look like a glowing ball of gas by now, and no one would be able to look me in the face without burning their retinas. I can’t say whether or not IOPE Bio Essence Intensive Conditioning did anything for my red acne marks – they are fading quickly, but that seems to be mostly the result of my 2% BHA product. 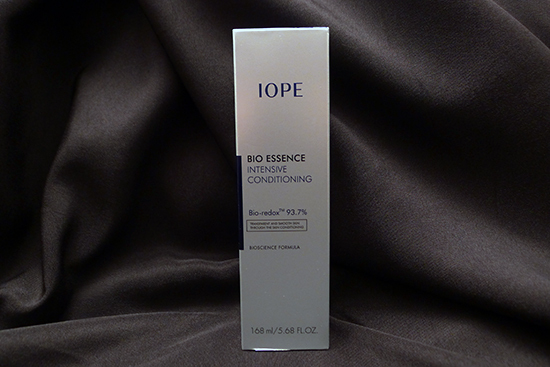 IOPE Bio Essence Intensive Conditioning did not aggravate active acne when I had it, and it actually seemed to help with some of the redness and inflammation associated with my breakouts. It certainly has not caused any acne at all. In fact, as of last week, my skin is the clearest it’s been in a very long time. For the first time in years, I have absolutely no acne anywhere on my face. Not one pimple. To be clear, I don’t credit IOPE Bio Essence Intensive Conditioning with this small miracle – I’m giving my BHA and Tretinoin combo most of the merit here, along with the intermittent AHA. I’m also testing a moisturizer right now that’s nothing short of glorious (though sadly, too expensive to be sustainable), and I do believe that’s had some influence on my skin’s clarity as well. But I will say that the IOPE Bio Essence Intensive Conditioning has been a part of my routine throughout the entire duration of this healing process, and for that reason, it still deserves a little fist bump. Note: I’m making some changes to my rating system. Product value will no longer be considered in the overall product rating. I am currently working on a separate approach to handling product value. Keep a watch out for it in future reviews! Packaging: 4/5 – The bottle is beautiful, solid, and sturdy, but I wish the dispenser had a slightly larger opening. I bought my IOPE Bio Essence Intensive Conditioning at W2Beauty.com, where the large, 168mL bottle retails for $59. First time customers can get a $5 W2Beauty voucher by entering my sponsor code at sign-up: 025605. IOPE Bio Essence Intensive Conditioning can also be found through multiple eBay sellers, including Amore Pacific’s eBay shop, where it sells for $60. I always thought this product was a skin booster as well, and probably would’ve used it before any other products. It just makes more sense to me… The price is definitely out of my budget, but I have mixed feelings on IOPE’s products. It seems like there are cheaper products that work just as well as theirs (but I might be wrong). This is off topic but what are your thoughts on BHT in skin care products? I know most of the time products contain a very low amount of it but would it cause anything overtime? Hey Gloria! This was actually my first time trying an IOPE product. I would consider trying others in the future based on my experience with this. Which ones have you tried? Were there any that stood out to you? Your reviews are so amazingly well researched and thorough. I bow down to you! But as far as this booster/essence/toner…I’ve always sort of glossed over it in the stores. It’s never had that WOW factor to me like the Missha Essence. Missha in my mind will always reign supreme! Thank, Sheryll! The Missha FTE still reigns supreme for me as well. I really did enjoy using the IOPE, but Missha has the same brightening capacity with a little more hydration. Even if they were priced the same, I’d choose Missha over IOPE – the fact that it’s less expensive is just a big, old, fat bonus. As far as I can tell nearly all the fermented extracts from fungi in skincare are saccharomyces or some form of leaven. I have also noticed a lot of these products have lactobacilli filtrates or ferments in them which is interesting. I’ve been wondering how they actually go about helping because indeed all the products I’ve used so far with fermented (potential) pathogens have helped my skin a lot. I keep wondering if it’s because an immune response to a dead organism would help heal your skin faster if your body recognizes a foreign antigen and sends things to help along there but that seems so farfetched haha. Hey Tiffany! I’ve got the ingredient list for the Missha FTE, but looking at it again, water is pretty low on the list for this one too – so maybe the IOPE ingredients listed in COSDNA are in the right order after all! I am also fascinated by fermented ingredients. 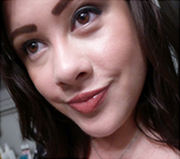 Like you, all the products I’ve tried so far that contain them have yielded some really positive results. I think your theory on why they work is really interesting! I wish there were more studies available about their role in skin care. What other fermented/saccharomyces products have you tried? Anything you recommend? Strangely, Loreal’s anti-aging products seem to carry some lysate ferment filtrate too, and that is something interesting. Oh wow, that is interesting! Do you have any specific L’Oreal products you would recommend? Thanks so much for this informative review! I actually bought the Missha essence after reading your review of it a while back, and absolutely love it. I figured that IOPE would’ve been the main contender and kept debating whether or not to buy a bottle and test it out. From your review of it though, it sounds like missha might do just fine for my purposes! I can’t wait to read the rest of your reviews on the other essences. I’m guessing you’ll be reviewing secret key, Innis fee’s soy bean one, and Tony moly? The only other brand I guess I really need to try is secret key. Its price point is unbeatable, and the ingredients profile looks promising as well. Hey Willa! Yes, totally, I think if you have the Missha, you’re not missing out on much. The IOPE is a fine essence, don’t get me wrong, but I don’t think it’s that much different than Missha, and I also favor the Missha a little more. I was actually feeling pretty indecisive about which one to try now, but I think I’ll take your suggestion and get the Secret Key next! Kerry, I adore your blog with all those thorough posts! You make me spend a fortune on skincare products, but it worths every penny. Ooh, Gale! Please let me know what you think of the Su:m37 once you’ve had a chance to try it! I am SO curious about that brand. It’s definitely on my wish list! Wishing you luck (and minimal breakouts) with your year of essences! I was looking on Cosmetic-Love’s shop today and noticed that Benton has their Snail Bee High Content Toner and Lotion out! Yes, I am so excited! I ordered it early last week, and according to the tracking number, my Benton Skin & Essence should be here on Monday. I’m can’t wait to try it out! I hope I love it as much as I do the rest of the line. I’m so happy to hear about your quest of trying all the fermented base essences! There are so many of them now, it would be lovely to see which ones reign supreme. Thank, Belinda! I think the fermented essence quest is going to be fun. I’m going to try Secret Key next! I look forward to these posts over the next year! I wonder if you can speak to whether any of these lines have other ferment-based products in addition to the essences. SKII has a full line of products including serums and eye creams and I’d love to know more about them. I know Missha has a mask to accompany their FTE. Has anyone tried it? Thoughts? I’d also like to know about the other SK-II products, Nora! Great post! I want to share my experience. I have oily skin, blackheads, prone to acne. Prior to using IOPE I used Innisfree Soybean Energy Essence and I had clear skin. Then I switched to IOPE and my skin broke out! I use a BHA 0.5% toner before applying IOPE. I switched back to Innisfree and it quickly flatten my acne. IOPE didn’t work well with me but my mom is now enjoying it. Hi, what ever happened to reviewing all of the dupes? The Iope was the last one we saw! Hi! I have the same skin types as you do, sensitive, dry, acne prone, as well as frequent redness and irritation on my skin, especially when I try new products. My questions are mostly about the skin care that I use, and it’s a little weird, but although I try using lines which are more suited to my skin, I like to explore and try out other varieties. Currently, my nightly routines are Laneige Active Water Homme and Laneige Pore & Trouble Clearing Homme. I use them alternately, 3-4 days each. In the mornings, I apply Active Water Toner and Emulsion, followed by Sun Care Sports SPF 50+; and when I get back home in the mid afternoon, I sometimes use nose packs, or pore cleansing foams + pore clay masks/egg white pore masks/rice masks (wash-off ones). Am I combining correctly? Or should I follow through 1 line for a period of time without using other products, or is it ok to be used with sub-products (mid-afternoon usage)? Recently, I received the IOPE Men Bio Essence Intensive Conditioning as a gift, and so far, 3 days have passed without my skin looking brighter..If any, the breakouts seem to dim a little after usage of IOPE, but in the mornings, some of the breakouts would resurface. I would greatly appreciate your response. Thank you! As for the IOPE Essence, I’d give it some time before passing judgment. In general, I find it usually takes anywhere from a week to 3 weeks before I start seeing results from a new product. If it starts bothering you, that’s a different story – I would stop using it at the first sign of irritation. Have you tried incorporating a BHA into your routine for your breakouts? BHA is one of the active ingredients that made the biggest difference in my acne. Do you prefer skii fte or iope? What surprises me is: everybody–literally, every single KSkin blogger-LOVES this. But none of them have tested any other IOPE products. Why not? Not only does this serum merit more attention to the IOPE line, but their parent co, AmorePacific, is CF, apparently. We of the KSkin buying public need MORE IOPE products! 🙂 Or, at least, I think we do. Thanks for the review. I bought this, and I simply love it.